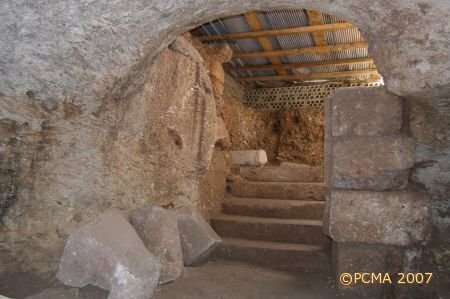 Following the close of excavations at the Mithreum in Hawarte in 2003, the project proceeded into the conservation and restoration phase. 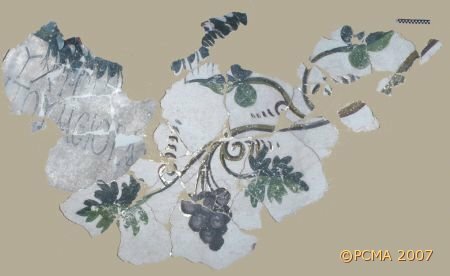 Ewa Parandowska with a select team of restorers and archaeologists has been working on the hundreds of fragments of painted plaster recovered from the rubble filling the cult cave and stored now in three separate collections: in Hama, Afamia and Damascus. 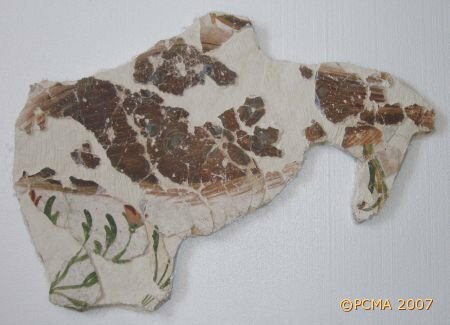 Indeed, in effect of a month’s work in 2006 (from April 29 to May 31), all the pieces have been collected together in Hama. 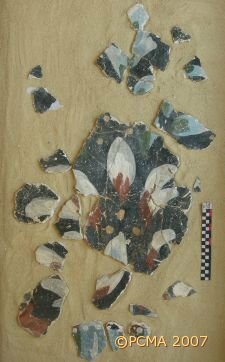 The key objective of current work is to prepare selected larger fragments of wall painting for museum display. The procedure is standard: cleaning embedded chunks of the original rock wall and ceiling of the cave from the back of the plaster fragments, followed by cleaning and protection of the painted surfaces. Ever since the first bigger panel was conserved as a free-standing project for display in 2002, it has been confirmed that there are up to five painting layers preserved. The tedious task of the restorer today is to separate the different layers and judging by the merits of the painting to mount them separately on new support. Each layer has to be documented in terms of the coloring and style of painting, representing the five phases of decoration. This has naturally tripled and quadrupled the amount of restoration work that has to be done, but has also led to some exiting new discoveries, when whole figures and fragments of the composition could be restored from the pieces. In 2006, three bigger fragments of ceiling were thus recomposed, and three fragments from the walls. 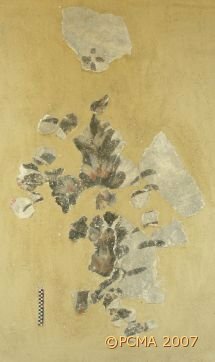 As there is still hope of new fittings to be made to the compositions, like the peacock with poppies from the ceiling (chronologically the latest layer), placing the recomposed fragments on rigid supports is being delayed wherever possible. 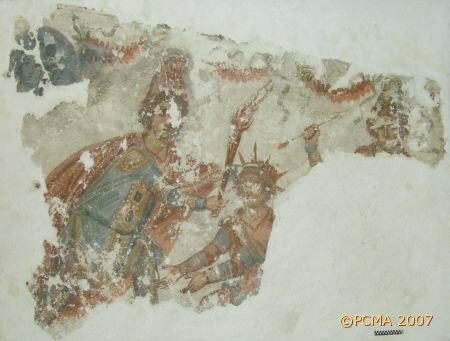 The scene representing Mithra as Helios, conserved as a separate panel by Ewa Parandowska already in 2002, had been cut from the wall of the mithreum with two earlier coatings of painted plaster. These had been separated in the conservation process and were now treated separately, cleaned and consolidated. The composition turned out upon analysis to be thematically the same, although different in size and colors. A supporting construction of gauze, canvas, polystyrene foam, honeycomb aluminum panel and fiberglass fabric was prepared to carry the panels, after which the surface of the transfers was cleaned and ultimately protected with Paraloid. Monitoring of the condition of the wall paintings preserved in situ at the rock cave in Hawarte has shown no deleterious changes. Some additional cleaning of the painting surfaces had been done in 2005 when the digital recording of the murals was also completed in preparation for the project of computer reconstruction of the mithreum’s iconographical program (Prof. Michał Gawlikowski and Dobrochna Zielińska).